If your grandmother had osteoporosis does that mean you’ll have it too? If your mother had breast cancer are you likely to get it as well? Is genetics destiny? No, genetics isn’t always destiny and you are not fated to contract a disease or condition simply because a relative did. However, as we learn more about genetics and the importance of preventive care, knowing your family medical history is more important than ever. A family medical history can tell you which diseases you are at the most risk for and thus allow you to take steps to prevent them or detect them earlier so they can be treated sooner. 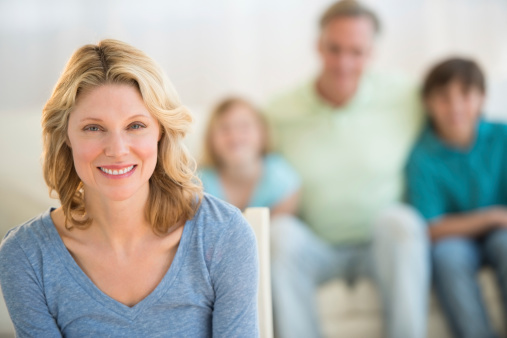 What is a family health history? Sometimes called a family health history tree, it is a record of illnesses and medical conditions affecting your family members. It should be focused on serious conditions, not seasonal allergies or tonsillitis. A complete history should include three generations and encompass grandparents, parents, siblings, grandchildren, aunts, uncles, cousins, nieces and nephews. More unusual diseases, such as cystic fibrosis and sickle cell anemia. Remember that having a family history of a disease or condition doesn’t mean you’ll get it. Likewise, having no family history of a disease doesn’t mean you won’t get it. Share this information with your physician and together you can decide how to use family history to improve your health. Knowing that you have a family history of osteoporosis, for example, your doctor might have you undergo a bone density test earlier than someone without that family history. Likewise, a history of colorectal cancer suggests earlier screenings. The information you gather can be shared with other relatives so that they can be armed with this valuable knowledge. The Surgeon General offers a free tool to help you create your family health history and the American Medical Association provides additional information on the importance of family health history.